Anti-Houthi fighters in Yemen allied with the Saudi-led coalition have been “terrorizing” hospitals and doctors in the city of Taiz, Amnesty International reports. Regular harassment at medical facilities in the city began roughly half a year ago, the NGO said after interviewing 15 doctors and other hospital staff. Anti-Houthi fighters even threatened to kill them for offering emergency medical treatment to Houthi fighters. Forces aligned with the ousted president even set up positions and tanks around one medical compound. The anti-Houthi forces are allied with exiled former leader Abd Rabbu Mansour Hadi, who fled to Saudi Arabia when the Houthis took power. Anti-Houthi forces are backed by the Saudi Arabia-led military coalition, which has been armed by the UK and US. 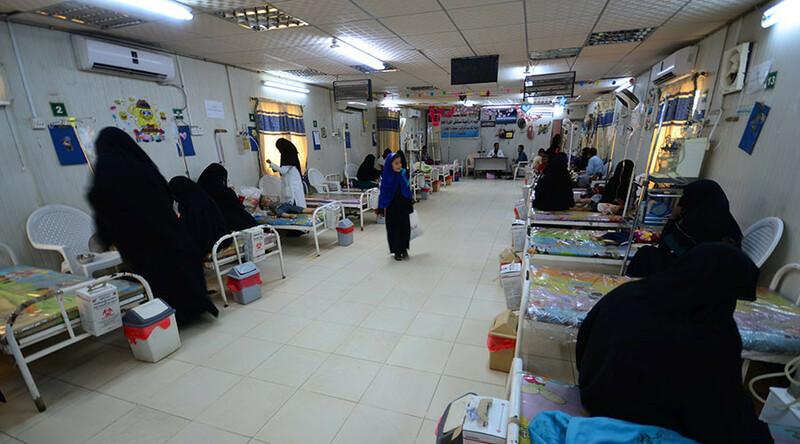 At least three hospitals operating in Taiz, a city of over 100,000 people, were forced to shut down due to threats against staff, Amnesty said. 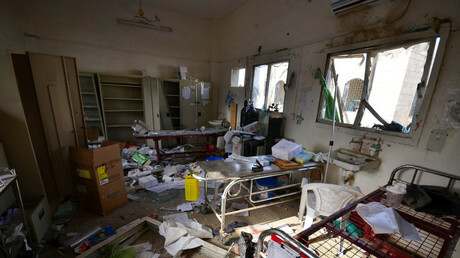 In the latest incident, which took place on Monday, three armed men stormed an office at the al-Thawra hospital and threatened to kill medical staff if it was not shut down immediately to halt treating three injured Huthi fighters being cared for at the facility at the time. “It is a fundamental rule of international humanitarian law that the wounded – whether civilians or fighters – must be collected and cared for. It is outrageous and unacceptable that anti-Houthi forces are retaliating against medical staff for performing their duties,” said Philip Luther, research and advocacy director for the Middle East and North Africa at Amnesty International. Yemeni doctors also said that they have been forced to perform their work at gunpoint. In other cases, when the hospital was full, the anti-Houthi militants would threaten them, making them treat their own patients. The pro-Hadi fighters even started physical fights with medical staff. “One man opened fire inside the hospital compound after being told his son, an anti-Houthi fighter with a minor leg injury, did not require emergency care and could be treated by a nurse. His violent outburst injured hospital staff and killed a patient,” the report said. Pro-Hadi Deputy Human Rights Minister Nabeel Abdulhafeedh Majed called the report biased and full of factual errors. He told Reuters that it was the Houthis who were besieging the city and terrorizing civilians. In March 2015, the Saudi-led coalition launched airstrikes in order to stop Houthi advances and reinstate Hadi to power, and later launched a ground operation. Up to 10,000 people have so far been killed since the fighting began, including 3,800 civilians, according to UN estimates. The coalition has maintained, however, that it does not target civilians, despite numerous accusations and reports stating otherwise. In September, a Saudi airstrike allegedly hit a wedding celebration in Yemen’s southwestern village of Al-Wahijah, killing 135 civilians. The coalition denied responsibility for the attack. 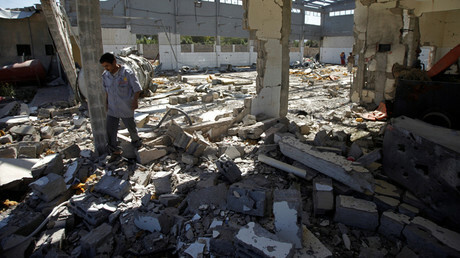 In March, an apparent coalition airstrike hit a market in Hajjah province, killing 41 civilians and injuring 75 others. The UN spoke out against the Saud-led coalition's airstrikes in August, saying they were responsible for the majority of civilians killed in the country's conflict. It called for an international investigation to take place, stating that a national commission had failed to succeed in pursuing those responsible.